Emergency services personnel in northern Grey and Bruce have found a new way to raise money for the United Way. 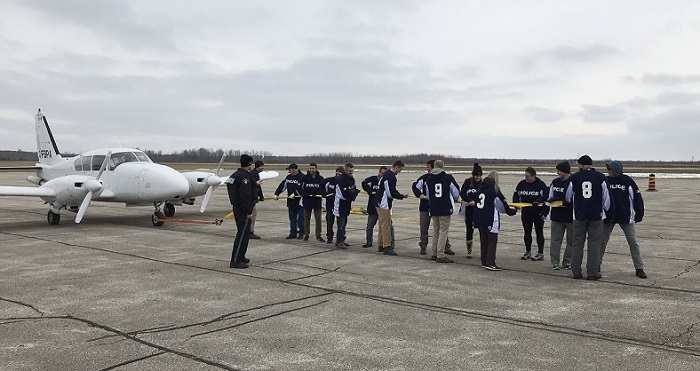 They called it the “Pull-a-Plane Challenge”, and it was held at the Wiarton Keppel Airport in Georgian Bluffs. 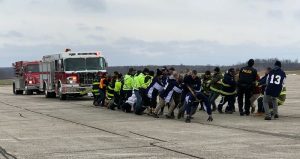 Four teams were involved — Northern Bruce Peninsula Fire Department, South Bruce Peninsula Fire Department, Bruce County Paramedics and the Grey County and Bruce Peninsula OPP detachments. 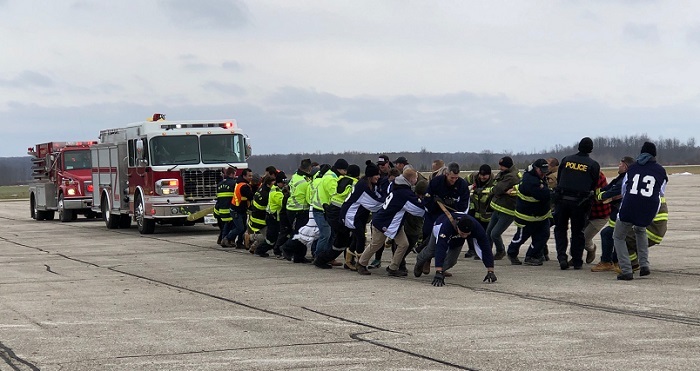 The main event was how fast a team of men and women could pull a twin-engine plane down the runway. Team OPP came out on top with the fasted pull time for the 50-meter distance. All the teams then combined to pull two fire trucks, with a total weight of over 30,000 kilograms. A total of $2,000 was raised for Bruce-Grey United Way.